Could the skyscraper of the future dispense homes like a vending machine? 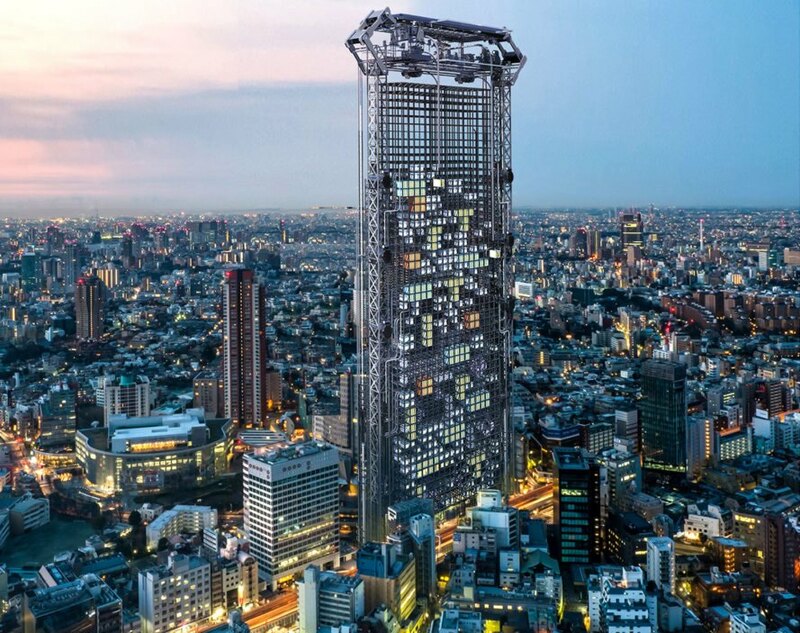 Growing and adapting to Tokyo’s housing demand, this Pod Skyscraper is constantly under construction. Residents can order a ready-to-use modular dwelling manufactured by 3D printers on the top floor of the building, and then cranes lower it into place. The innovative skyscraper, designed by Haseef Rafiei, received honorable mention at this year’s eVolo Skyscraper Competition. 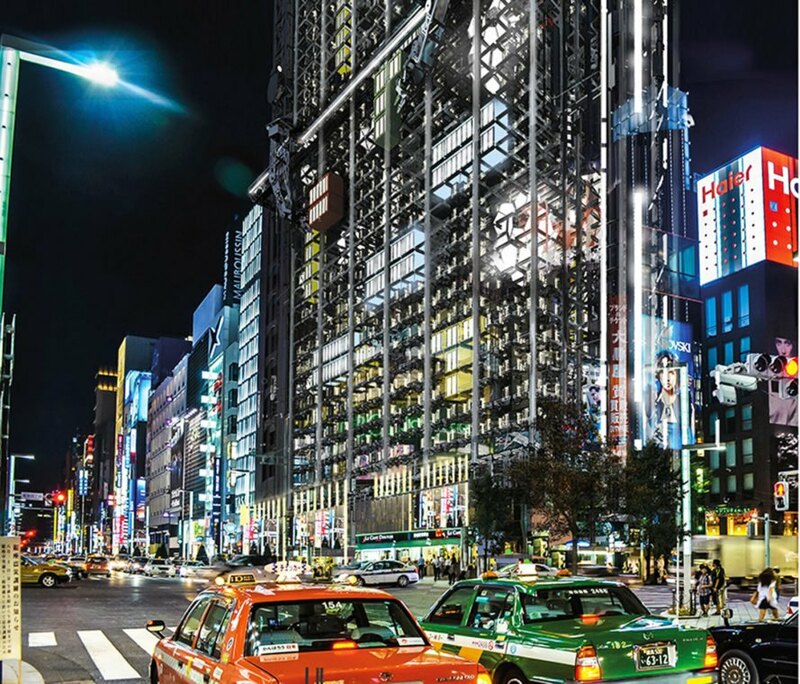 Tokyo is known for robotics, automation, and minimal living. Drawing upon these qualities, Rafiei created a futuristic variant on the famed Nagakin Capsule Tower. 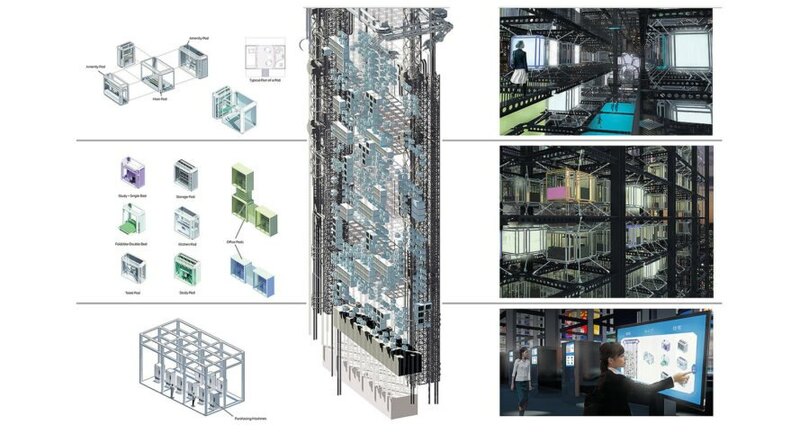 Inspired by vending machines in Tokyo, this vast framed structure houses a large number of pods equipped with basic amenities for residential and commercial use. The pods are manufactured on-site, transported by cranes and plugged onto the megastructure. An automated system calculates the position for each pod, while disused or faulty pods are dismantled, kept in storage or brought back to the printer – creating a closed loop. Users can choose the amenities included in the design and can purchase several pods to create a larger living space. In addition to residential use, the pods can also function as small office and commercial spaces. Really like this idea. Not necessarily the 3D printing part but the idea of building modules off-site and having them installed on the structure with a crane. Like drawers in a chest. I believe that we need to look at building with an industrial approach. A company that makes the elements in a factory and assembles, rapidly and efficiently, proven designs anywhere in the world.